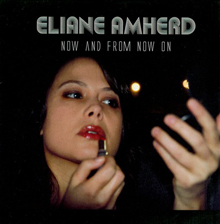 Eliane is one of the hottest forces of the New York City's music scene. The Swiss-born singer, guitarist and songwriter graduated from The New School University for Jazz and Contemporary Music, New York in 2000. Since then her original music and lyrics, a groovy mix of all her influences, has been creating quite a buzz. Her album “Now and from Now on” which is broadcast internationally, continues to receive great press reviews and has topped the play list of several US Radio Stations. Besides her performances as a leader or a featured artist in New York’s most famous clubs like SOB’s, Zinc Bar, Nublu, the Jazz Standard, Joe’s Pub, the Blue Note, Cornelia’s Street Cafe, Nuyorican Poets Cafe, she also tours in North- and South America, Canada, Europe and Asia, where she performed at several Festivals like the International Jazz Festival in Hong Kong, the Beijing Nine Gate Jazz Festival, the Shenzhen OCT Loft Festival, the Beishan International Festival in Zhuhai, the Jazzmandu Festival in Kathmandu and the Giant Steppes of Jazz Festival in Mongolia. Eliane and her band have entertained companies like Bvlgari, Time Warner Cable, C.F. Bucherer, Myswitzerland Tourism and major events like the Soiree Suisse at the Swiss Embassy in Washington DC, the Swiss Peak Festival and Swiss National Day celebrations in NYC, the reopening of the Silverstein Building at the World Trade Center (alongside Lou Reed, Susan Vega, and the Brazilian Girls), the opening of the Swiss Business in Hong Kong. She has worked with greats such as Randy Brecker, Marcus Strickland, Marc Ribot, Michael Carvin, Bill Ware and performs with the best musicians NYC has to offer. She plays guitar in the Pacha Massive video “don’t let go“ on MTV, her song “As If” can be heard in the award winning movie “Approaching Union Square” by filmmaker Marc Meyers and her voice is featured on Jeremy Mage's song Slippery Light appearing on the NBC hit TV series Lipstick Jungle and she appears on many CD’s of fellow musicians and DJ’s as a featured singer or guitarist. All About Jazz musician pages are maintained by musicians, publicists and trusted members like you. Interested? 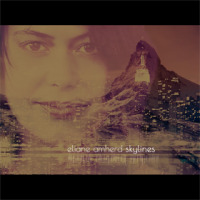 Tell us why you would like to improve the Eliane Amherd musician page.